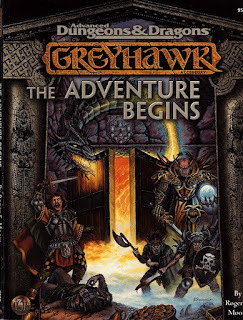 After Forgotten Realms, we move further back in time to take a look at the setting it knocked off its perch as the de facto setting at TSR - Gary Gygax's very own World of Greyhawk (I will, at times, be comparing the two settings for the very same reason). The world of Greyhawk is a Sword & Sorcery setting built on a proper medieval chassis with just a light sprinkling of Tolkien influences. It is built around a dichotomy of the lands of Men being relatively mundane, with the history and cultures of these having a suitably 'realistic' feel and the wilderness being home to the Weird - The place where adventurers go to experience the fantastical. 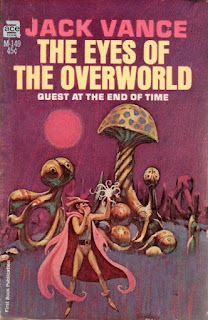 Here, Greyhawk has a strong 'anything goes' approach where spaceships, timetravel, contact with other worlds, from the silly to the serious, are all within the tone of the setting. It is a sparse and very open-ended setting characterised by no two greyhawk settings being quite the same, depending on how each DM interprets the setting. I put each paragraph above in its own bullet point, because I feel they each need a bit of unpacking to really 'get' greyhawk. That it even needs this kind of unpacking is perhaps one reason that Forgotten Realms was such a smash hit in comparison. Compared to the Forgotten Realms, Greyhawk has a lot less influence from Tolkien. 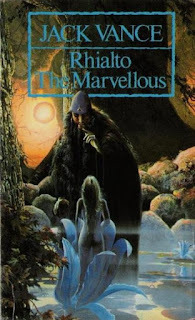 The primary inspirations that shine through are the Sword & Sorcery of Lieber's Fafhrd & The Gray Mouser and the more classical fantasy of Poul Anderson's Three Hearts & Three Lions. Other sources can be inferred, but are not as clearly evidenced. What I mean by that is that Greyhawk assumes a different generation of fantasy enthusiasts. 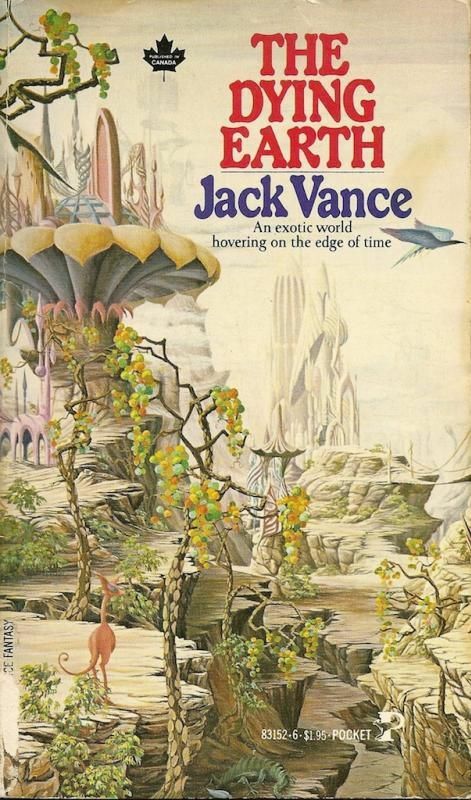 For people who had already read Jack Vance's The Dying Earth or Michael Moorcock's Elric it is easy to see how these influences fit like a glove for creating a richer framework of Gygax's greyhawk. But they are not essential for the core of it (more on this below). Gygax is better schooled in medievalism than Greenwood and it shows in his setting history and how it shows a pattern of cultural development. On a scale of Harn to Legoland realism, Greyhawk, in certain ways, leans much closer to the Harn side. We are meant to know that feudalism had a historical origin here, that peasants get killed in petty wars of nobility and that trade follows pseudo-realistic patterns. The clear medieval character (surprisingly rare in fantasy) of it makes it more analogous to Game of Thrones than any other D&D settings (except maybe Birthright). “...There is an essential element which will determine the success or failure of a game as High Fantasy: the division of the world into Home Areas and Wyrd Areas. A Home Area is one in which everyday life as we know it exists; it is the Primary World. A Wyrd Area is the realm of the Dark, the actual world of Faerie. It is in Wyrd Areas that one encounters monsters and has adventures. All AD&D dungeons are Wyrd Areas." 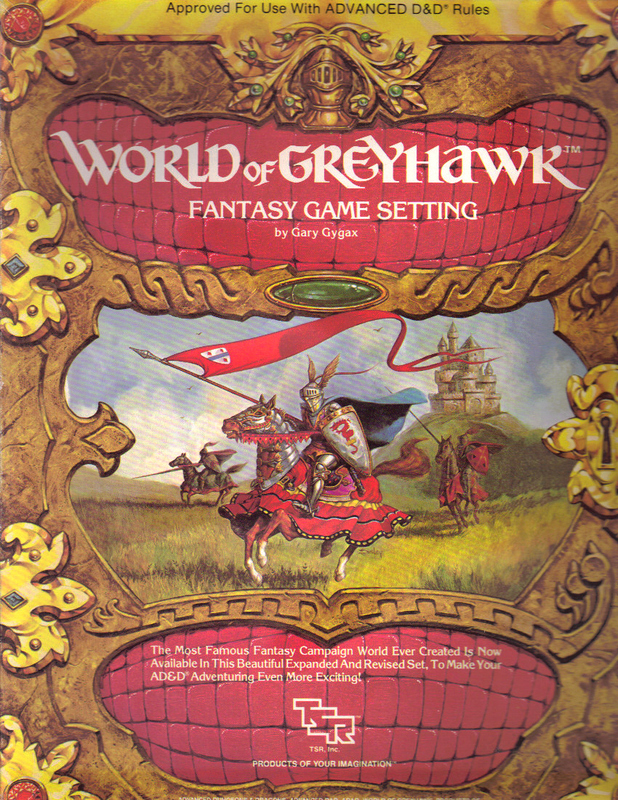 The world described in the original Greyhawk Folio and Boxed Set is mostly the mundane 'home area' world. What neither does a very good job of showing, but which is made abundantly clear by the modules situated in Greyhawk, such as EX1 Dungeonland, EX2 The Land Beyond the Magic Mirror and WG6 Isle of the Ape, is that once you cross into the wilderness, Greyhawk becomes more akin to a gritty Alice in Wonderland, that is awash in Weird Things from interplanetary timetravel, spaceships and robots, to extra-dimensional horrors and whatever else a DM could dream up (lest we forget - The drow were originally a surprise 'evil elf' race unveiled in an adventure and were very much a signature race of greyhawk before Forgotten Realms popularised them further). There was a clear assumption of No Holds Barred when it came to the Weird and whatever fantastical stuff you wanted to throw at your PCs would never interfere with the tone or style of the setting. 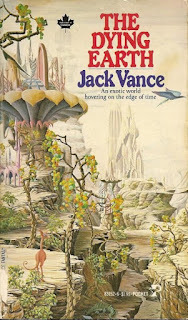 Here, Jack Vance's Dying Earth and Planet of Adventure take over as unstated influences and the baroque, absurd and humoristic character of Greyhawk begins to show itself. Another assumption to bear in mind, also unstated, is that Greyhawk assumed picaresque adventurers having episodic adventures that could as often venture into the absurd as it did the heroic. As opposed to the more epic quests and heroes that modern audiences might assume as their D&D default, owing to their modern literary fantasy influences. Much of this could be self-evident to those who had the folio, a few published adventures and had read much of the same kind of literature that Gygax had soaked in. It is not at all clear to younger audiences, or even older ones who didn't have the same influences (or, those who had but didn't necessarily infer that these influenced were to be imputed). A modern World of Greyhawk setting would need to devote a fair amount of pages to elucidate to modern audiences its tone, style, literary influences and hitherto unstated assumptions in order to really be 'got'. As such, it has to be said the Greyhawk has not aged as well as some settings (though its kinship with Game of Thrones may have given it new modern appeal) and the bar of entry is somewhat high to younger players. The saving grace of Greyhawk is that all of the unstated assumptions above are not necessary to use it well. 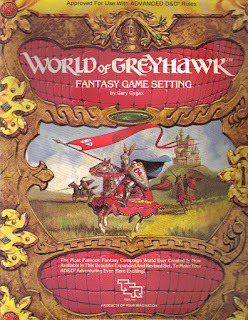 "The world of greyhawk is yours now -- Yours to do with as you wish. You can mold new states out of old ones or inflame ancient rivalries into open warfare as you tailor the world to suit the needs of your players." Naturally, many DMs take it as a given that they can adapt existing settings to suit their needs - But unlike most modern settings, Greyhawk was always intended as a chassis for DMs to customise and make their own. For similar reasons, though detailed in some areas, it is intentionally sparse in others. As such, Greyhawk really should be mostly evaluated on its suitability as a gaming chassis to get DMs started with and how easy it is for DMs to pour their creativity into and make it their own. It lends itself as easily to gritty "game of thrones" style gritty low fantasy as it does to "Paladins & Princesses" or Lieber-esque sword & sorcery. This review assumes the default line of the original Folio and boxed set. 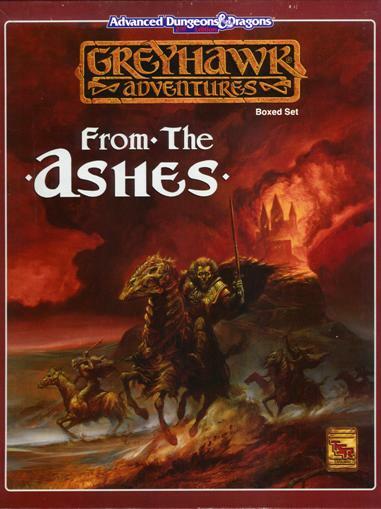 As was obligatory for all TSR settings during the 90s, Greyhawk was blown up by a Big Event. 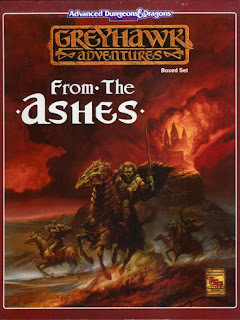 In Greyhawk's case, they took all the seeds of conflict scattered across the original material and triggered them all at once - Thus the Greyhawk Wars and with it the new campaign set From the Ashes by Carl Sargent. The Greyhawk Wars altered the tone of the setting significantly. The original version was an open-ended setting with no overarching angle or theme, where the geopolitics is tightly strung in many places, but where events in the wilderness could just as well be influential. Hooks were set as dials for the DM to turn when he wanted stuff to happen. The setting of From the Ashes was one where geopolitics is the dominant theme of the setting and evil definitely has the upper hand and you can't visit a village anywhere without having to deal with some fallout or another of the wars. More Darkhawk than Greyhawk. As a result, true to its original intention, many greyhawk fans never took it as more than one person's interpretation of greyhawk. 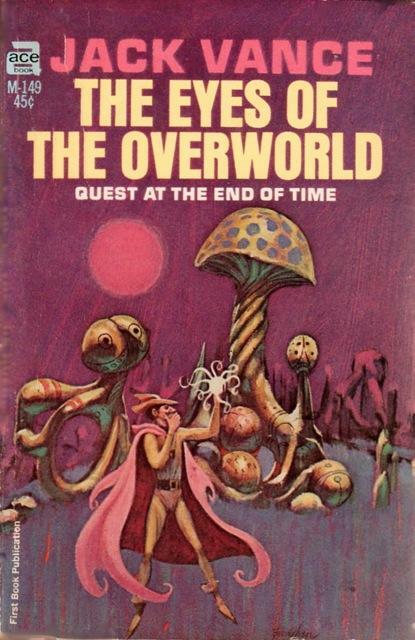 Roger Moore later advanced the timeline a few years further in The Adventure Begins, which did a credible job of taking it back to a more open setting whilst retaining the dynamics of an unfolding timeline (which was always the intended case based on Gygax's Dragon articles), a point in time it has been frozen at ever since, publicationwise. Although 3rd edition took Greyhawk as its default setting, all we got were some very dry and bland setting books that represent a nadir in Greyhawk as far as quality of material written. Roger Moore wrote of the same era (591 CY) with a far more pleasant and evocative writing style and Sargent, while given a thankless task of writing for the most ungreyhawky of greyhawk eras, had an explosive imagination and his work is good for mining no matter your own interpretation of greyhawk. If you have already soaked in the sword & sorcery literature that Gygax also enjoyed - Lieber, Vance, Howard, Lovecraft and Anderson - to fill in the blanks, Greyhawk will be an easy pickup and represents a very solidly constructed medievalist setting soaked in exotic and weird fantasy where anything goes. If you are simply looking for a setting chassis where the skeleton is pre-made for you, then greyhawk is also an excellent setting for you to tinker and tailor with and put your own unique spin on. It was designed for this very task and it shows. If you are looking for the immersive 'Greyhawk experience', a vision of the world as the creators saw it, and you have not read the literature above, Greyhawk will probably come across as a bland and indistinct setting with knights and wizards and little to set it apart from a dull pastiche of medieval europe + orcs and elves. I'd tell you to wait for the 5e setting book, but I doubt the writers would fill in the blanks for you on this.